Bold Kurukshetra–2019 joint exercise is aimed at developing military technology, enhance the maritime security and bolster the nations’ fight against terrorism. 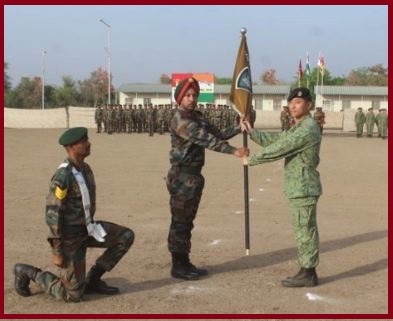 Bold Kurukshetra–2019 joint exercise was also aimed at attaining a high level of interoperability between the armies of both the nations through mutual understanding and familiarisation with each other’s operational procedures and equipment. In November 2017, India and Singapore had entered into an official agreement to strengthen defence ties between their respective armed forces. As per the agreement, personnel from the Singapore Armed Forces will receive training and undertake firing exercises along with the Indian Armed Forces. India and Singapore have also agreed to step up intelligence and information sharing in maritime security, especially in the field of counter-terrorism, and agreed to expand collaboration on submarine safety and rescue.